The new face of minimalism does not resort to strict geometrical lines, but finds its beautiful simplicity in structure and texture that touch on the basic and don't require crazy styling tricks to look perfect. 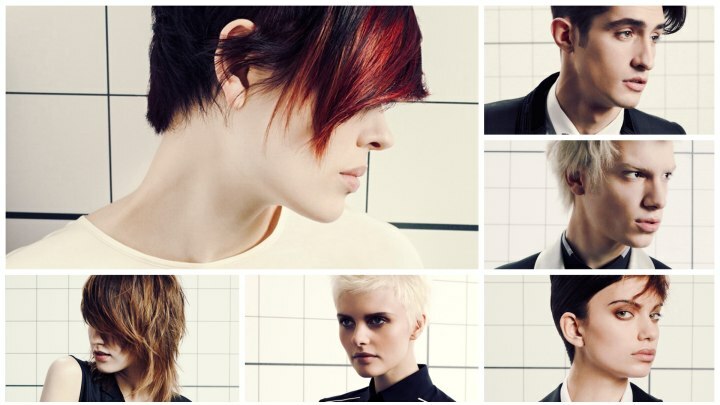 Framesi presents a new hairstyles collection that is basic, raw and grabs attention in a very visceral way. 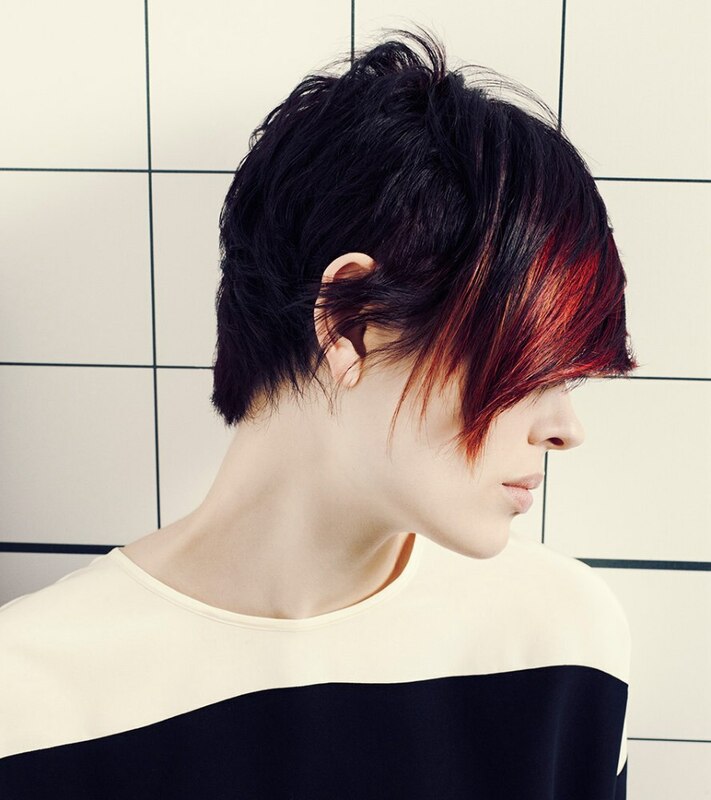 Androgyny, contrasts and intensity of color, a re-defining of modern style come with strong lines and interesting takes on fringes. 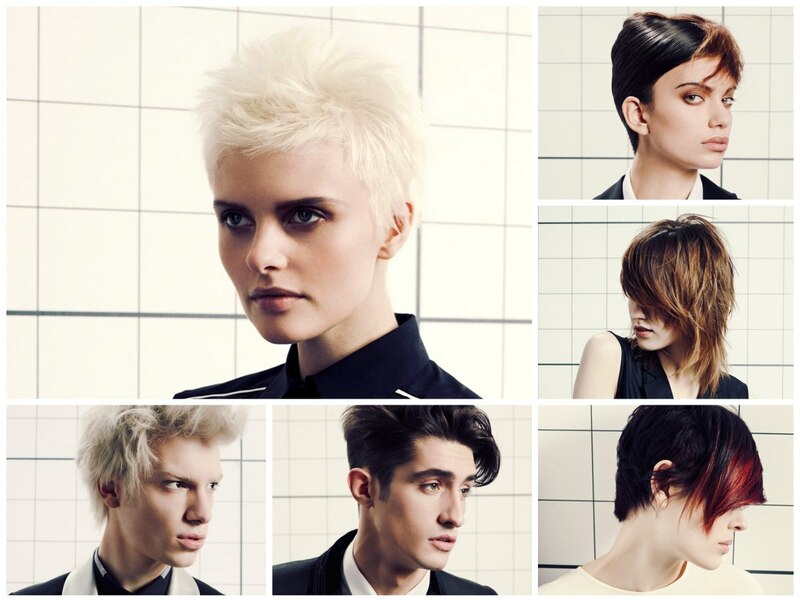 All cuts are extremely flexible and adapt to any personal style preferences, day and night. 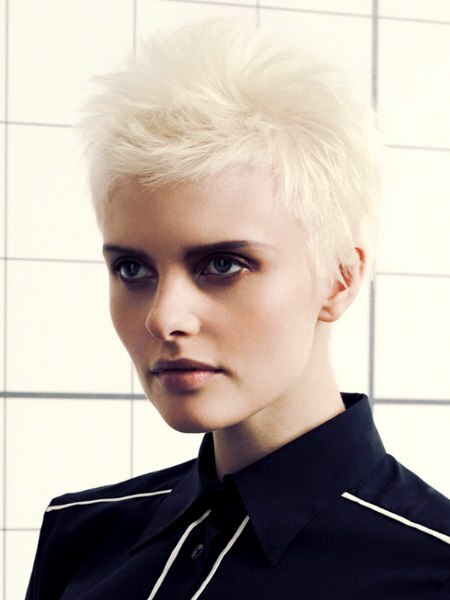 Feathery and soft in a brilliant white flash color, this short pixie haircut is the most minimalist and basic of the collection. 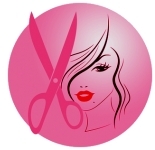 The cut is fine tuned with much attention to even the smallest detail. A round silhouette is undisturbed smooth with a few angles and sweeps just around the face. It has a powdery and radiant quality with an androgynous sizzle. Light and shadow can play with our perception and even more when the colors involved are as intense as in this hairstyle. 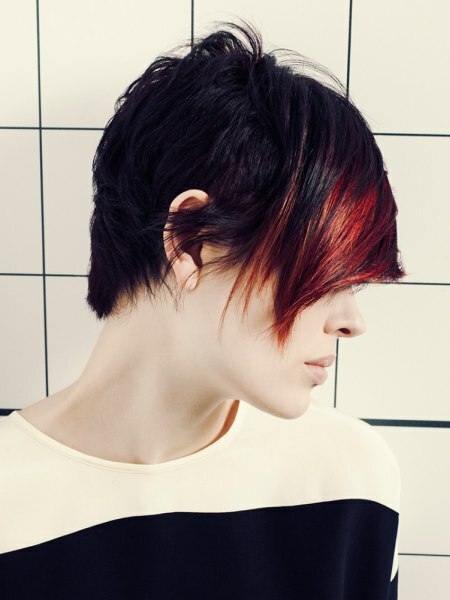 The bangs seem to have been designed this long and with such a sleek surface only to have enough room for the bright dragon fire red splash of color that lends a 3 dimensional effect to the short haircut. 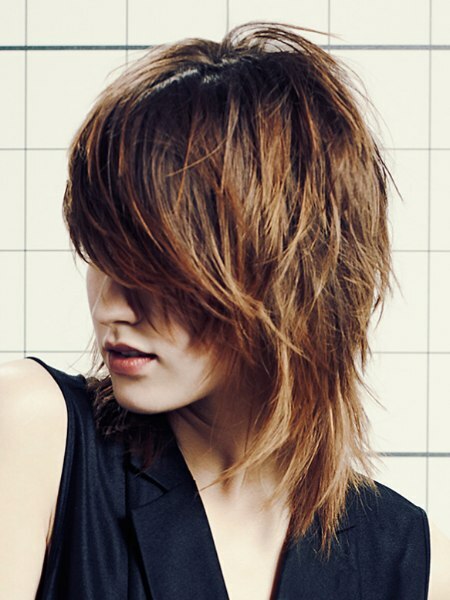 The backside is finely layered and styled with medium volume. 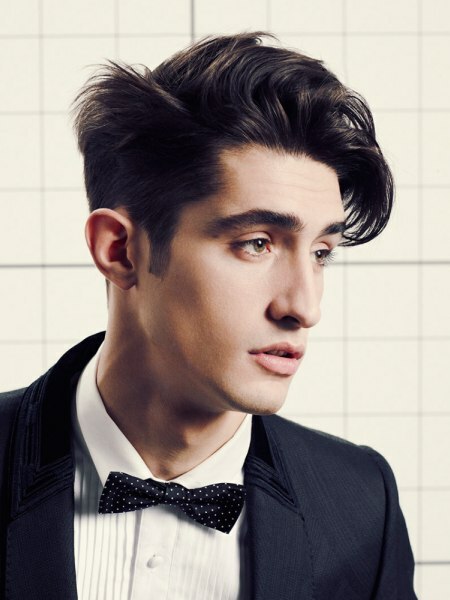 This texture reaches from one ear to the other and all of the front is longer and sleeker. Shake it up! This haircut wants to be touched. The long layers move in different directions, overlapping each other. Rugged and dynamic movement defines this style. An extra long fringe can be played with in many ways. Check out the images below for options. You can wear it on the side with more or less tousling or comb the hair forward and distribute it evenly with just a couple of peek-a-boo openings to not block all vision. The lighter color was also applied in layers and depending on how the hair is styled the golden brown is more or less visible. A bit governess and a bit rebel. 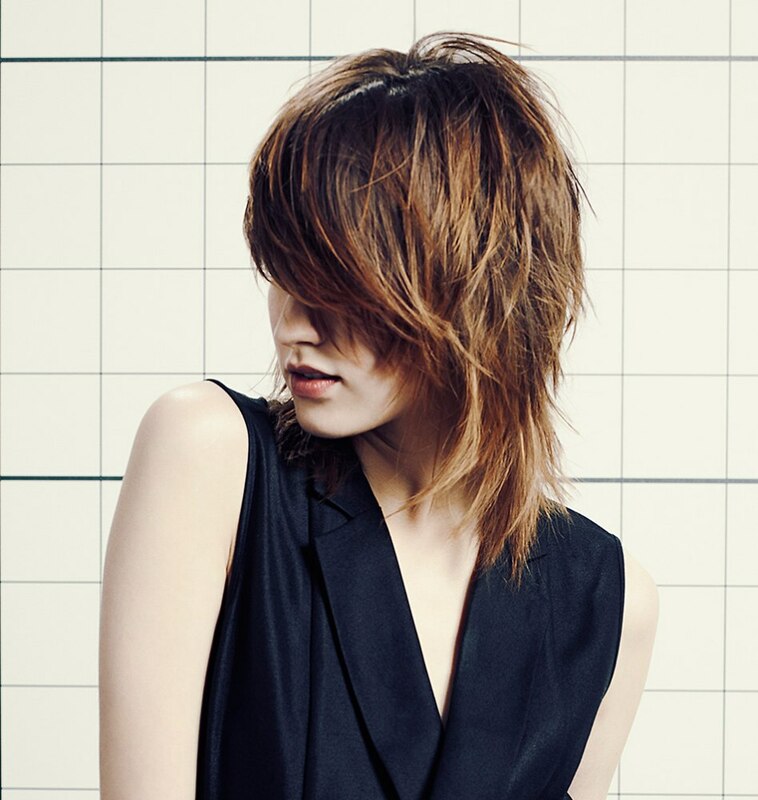 A sleek black, strongly pomaded band of hair cradles the head in a simplified and strict geometric shape. This bold base reminds of the classic teacher's look or a banana roll. From the center of the resulting whirl in the back a long and broad strand moves forward and spreads out like roots from a plant. The contrast in texture and color teases the senses and exudes a high level of visionary creativity. Note how the make-up and eyebrows are matched in color to complete the picture. Jagged layers are ruffled and lifted in front for a punk style, modern bohemian look that will definitely stand out in a crowd. Shades of gray and silver are among the hot trends on the runways and not anymore a sign of aging. 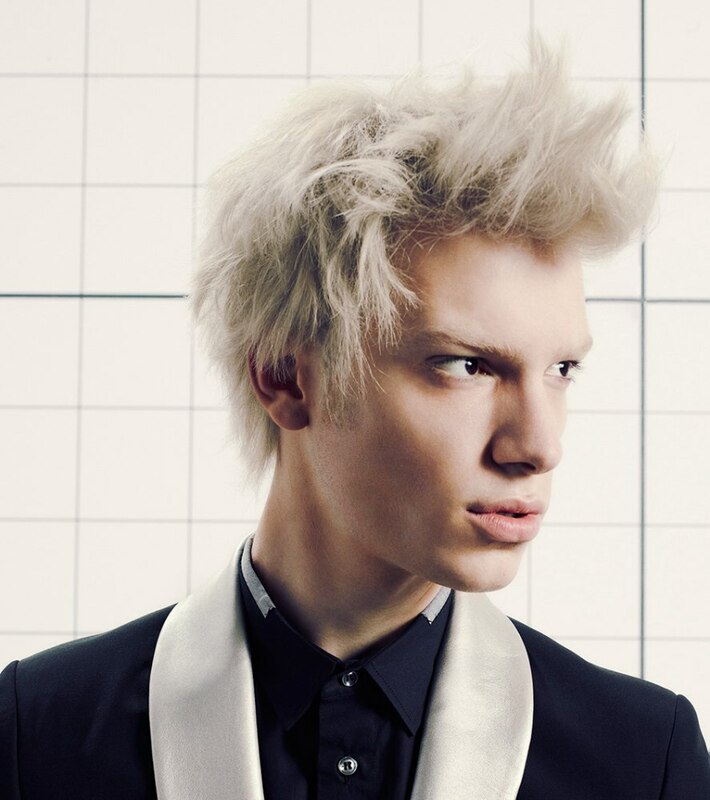 As a juxtaposition to the wild movement of his hair, his sideburns are short and perfectly shaped with clean lines. Is he a banker or a musician? 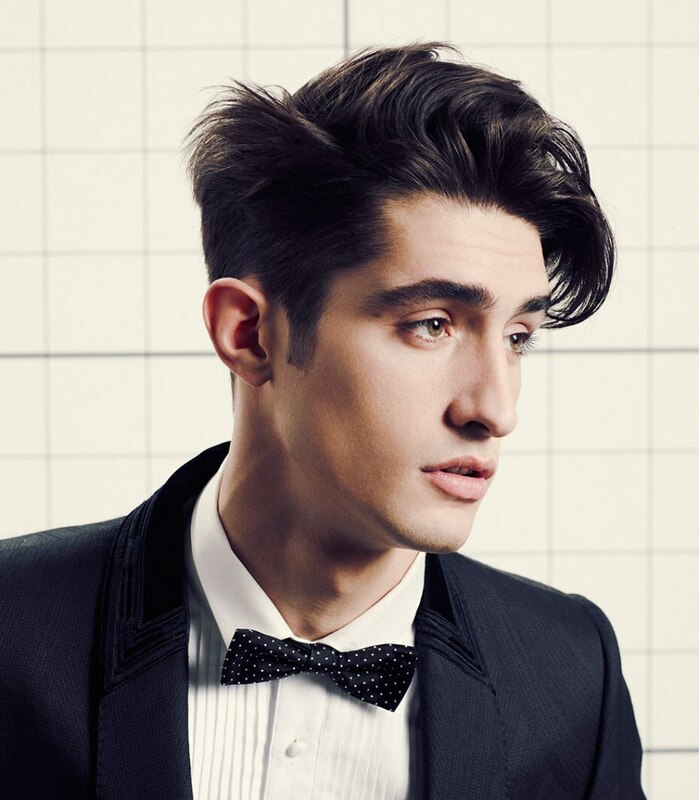 This retro inspired haircut works for both environments and says about its wearer that he knows what looks good on him and what is the latest in the world of trends. 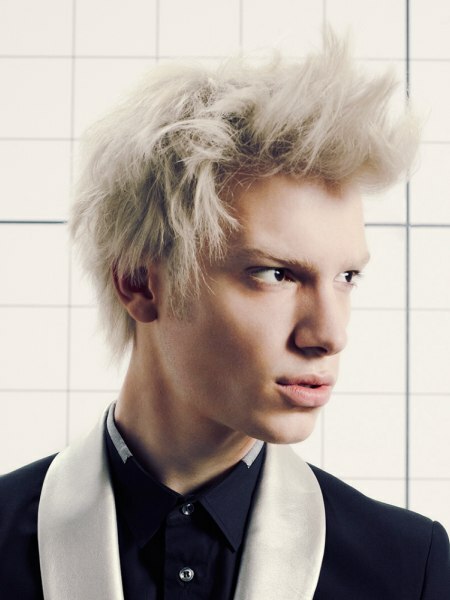 A good mix of clean cut lines and expressive length, tradition and a casual approach define contemporary looks for men. The volume is concentrated on the crown and all of that lift allows the hair to fall to the sides in such gorgeous waves.